The traditional supply chain model used in retail distribution is outdated and simply not efficient enough for the industry any longer. Current supply chains are slow and fail to keep up with the speed of modern-day technology. Businesses are currently struggling to keep up with customer demand due to the issues with supply chain management, and we are at a point where something needs to give. This post reviews the current state of supply chains across industries and sheds some light on how IoT and an innovative new approach to supply chain management could drastically improve efficiency and streamline the entire logistical process. Currently, the supply chain usually begins at the manufacturer. Of course, they will need raw materials to begin production as well as demand for their goods. If the suppliers do not have enough raw materials to meet demand, delays will already begin to occur. When instructed, the manufacturer produces the goods and ships them out, ensuring they can produce and ship enough product so the wholesaler doesn’t run out. Then, the retailer will purchase based on projected customer demand. From here, the customer can purchase the items, triggering the retailer to ship to the customer along the last mile. This entire process is currently highly fragmented, has long lead times and relies on production and overstocking to avoid a shortfall. If the whole process is not streamlined, the end-product is customer disappointment. So, what is the alternative? The supply chain needs to be flipped on its head. In this scenario, the customer triggers the whole process, creating a pull-based system where each process pulls from the one before it. A pull-based system like this can solve the issues of over and under-stocking, assuring only what is needed is manufactured and thus saving the cost of wasted or lost stock. It is a simple enough theory, but implementation is a little more complex. The practicalities of technological implementation mean that every party in the supply chain needs to be on board. This way, data collection, and logistical mapping can be done quickly as needed. This is an arduous task for a human operator but a simple one for a computer or network of intelligent devices. The Internet of Things, or a network of artificial intelligence devices that communicate with each other, can help in both the planning and realisation of real-time ordering and manufacturing. The easiest example of how this can be implemented is in the real-time tracking of inventory. This can result in reduced lead times, real-time monitoring of standing stock and intelligently calculating costs based around this. The end product is a flow from raw material to product delivery in one seamless process. The visibility that can be gained from this kind of system is greatly increased and can help in the development of risk procedures and contingencies to avoid any shortfalls from unforeseen events. Unless you are already implementing an end-to-end pull system of some sort, then integrating one could be extremely advantageous for your business. The theory is great on paper – the hard part is actually implementing it. Getting your entire supply chain to reverse direction and go from a push to pull system is no easy task and may be met with resistance or scepticism. The technological integration of IoT is only one part of the system; supplier and customer relationships will need to develop as well. The external parties who are part of your supply chain may also be part of other supply chains, so changing to fit your needs may affect their working relationships with other vendors. Rather than attempting to overhaul your entire supply chain in one go, gradual upgrades of the weakest parts of your supply chain might be the best solution. This can improve inefficiencies a step at a time and once a related party sees the improvements in action, it’s easier to get them on board with making the changes to their respective processes. Can This System Be Integrated into All Businesses? As we’ve mentioned, a push-based process begins with making the product and flows through to selling it. With a pull-based process, the customer orders a product, the retailer tells the wholesaler, the wholesaler tells the manufacturer, the manufacturer sources raw materials, makes the product, and finally ships to the customer. In a perfect world, this is possible – nothing is wasted and everyone is happy. The only problem is that it may not be efficient to only order raw materials in the quantity to make enough for a single purchase. Hence why businesses order in bulk and stockpile product. When this is the case, the intelligent decision-making abilities of an IoT system come into play. This allows relevant levels of raw materials to be ordered and held based on seasonal trends and other metrics. In addition, if the manufacturer finds that processes need batch production to reduce costs, IoT computing can make sure that only the relevant resources are drawn upon or parts issued at the right time, streamlining the process and intelligently monitoring stock levels. The system also gives the customer more visibility of where their product is and the timeframe for delivery. This means couriers can implement much more streamlined delivery processes with narrower windows, speeding up delivery and increasing sales. The Future of Supply Chains? In this day and age, we are no longer asking what we can do with IoT, but how we can implement it into our systems. Now is the time that businesses need to figure out how IoT can improve problems in their current supply chain model. The supply chain is one of many areas where IoT can improve operations. 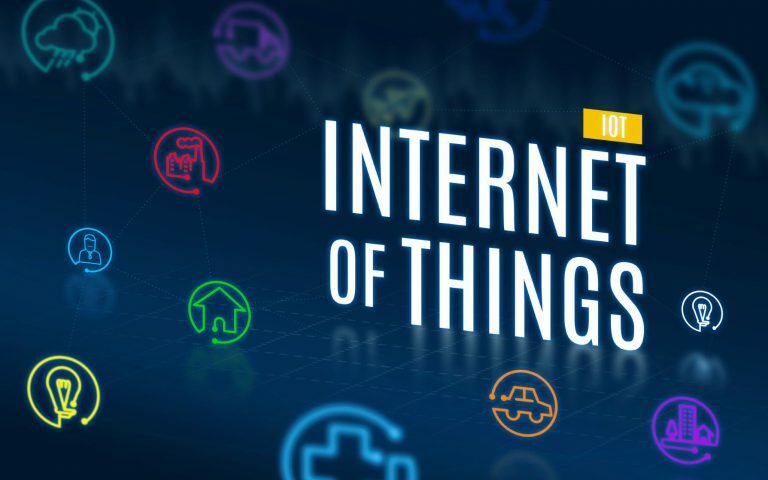 Like many technologies that have come before it, we don’t yet fully understand the scope of what IoT can bring to the table. But we are starting to ask the right questions of what it can do for businesses and how can it make processes easier for manufacturers, suppliers, retailers and customers alike. This entry was posted on Thursday, May 10th, 2018 at 8:00 pm	and is filed under Courier Services. You can follow any responses to this entry through the RSS 2.0 feed. You can leave a response, or trackback from your own site.